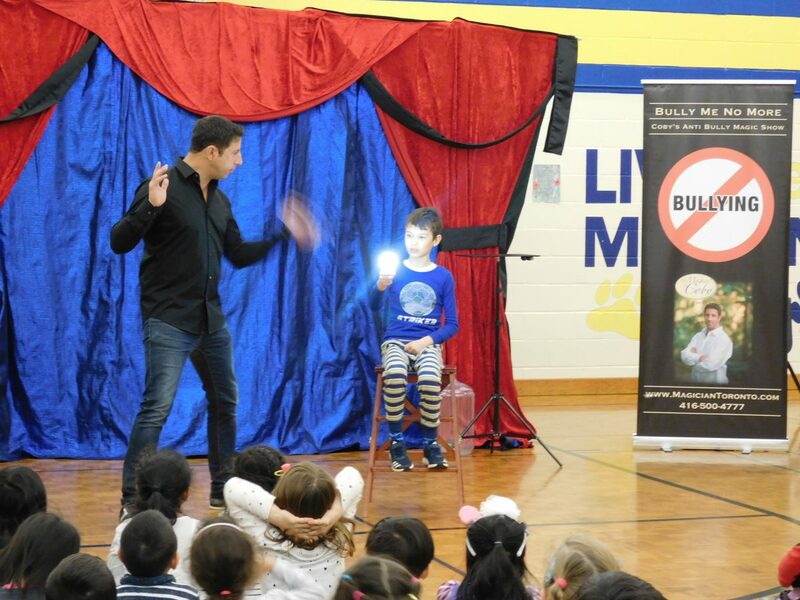 Today, Magician Coby wowed the students, staff and parents with his amazing magic. More importantly he engaged us all with his message of THINK BEFORE. A simple message that asks us to stop and think before doing something. He also taught us that bullying isn’t about one event but rather repeated events. Magician Coby shared his own story of being bullied and the steps that need to be taken in order to stop it! After his amazing show, he had us all pledge to help stop bullying and spread kindness instead. All that attended enjoyed the show immensely but most importantly heard the message clearly that two little words can help us make the right decisions: THINK BEFORE. Previous Story Previous post: St. John XXIII CES Remembers!